Look to Burke Landscape Supply for all your New Salt Spreaders Delaware County. 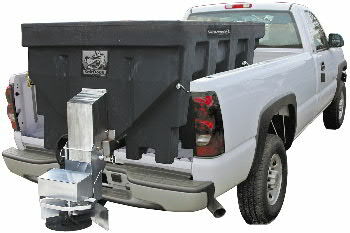 Burke Landscape Supply carries OEM Salt Spreader Parts for your Salt Spreader Repair. We carry the latest models of new salt spreaders. 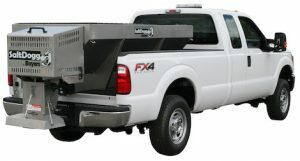 We have tailgate spreaders, hopper spreaders and walk behinds parts. Trust Burke Landscape Supply for all your winter equipment needs. Located in Milwaukee, Wisconsin, Western Products is the leading manufacturer of snow and ice control products, with a full line of CONTRACTOR GRADE® snow plows for commercial snow plowing as well as personal-use and light municipal snow removal operations. Western Products also offers a variety of hopper and tailgate-mounted ice control sand and salt spreaders, along with a wide selection of performance-enhancing snow plow and spreader accessories and parts. For BOSS, it all starts in Iron Mountain, Michigan, where designing, innovating and manufacturing world-class snow and ice removal equipment is what we’re all about. Developing the tools that make snowplow professional’s jobs easier and more efficient is our ultimate goal. It’s been that way for nearly 30 years. We know what it takes to design, engineer and build products that work in the worst conditions imaginable. And we’re working harder than ever to deliver the toughest, most reliable, most innovative snow & ice removal equipment. Buyers engineering, manufacturing and assembly takes place in the USA where we were founded in 1946. Our brands have a reputation for being durable and dependable, and that’s important to us. So we do things the right way; we design and build products like we we’re building them for ourselves, because we are. Our teams are staffed with engineers and experts in their field, actual product users that know how a product is supposed to work and how to make a product exceptional. Meyer Genuine Parts are designed to fit properly and perform better and last longer – which means you save money by replacing fewer parts less often. In addition, all Meyer Genuine Parts comply with Meyer specifications and technical standards. Meyer Genuine Parts also maintain the warranty on your equipment, fit perfectly, reduce installation time and guarantee original equipment quality. Look for the Meyer name on all your replacement parts. Dedication to high quality products and unparalleled service has been a FISHER® tradition from the start. Fisher Engineering has been producing snow plows, as well as hopper and tailgate mounted ice control spreaders, for more than 70 years in the coastal city of Rockland, Maine. Burke Landscape Supply services and sells replacement parts for your Fisher snow equipment. We sell the best brands of snow equipment including Western, BOSS, SnowDogg. Our most popular snow equipment items: Western snow plows, BOSS snow plows, SnowDogg snow plows, Western salt spreaders, BOSS salt spreaders, SaltDogg salt spreaders, Ariens snow blowers. Come to us for your snow plows Aston 19014. After you remove the snow, treat the ground to prevent refreezing. We sell various Ice Melt products for deicing. Burke Landscape Supply has calcium chloride, bag salt, bulk salt, pellets, and sidewalk blends. Many of our customers prefer bulk salt for their driveways or parking lots. Pick up your bulk salt Aston or have us deliver bulk salt to your location. Call us at 610-494-9490. Burke Landscape Supply has everything you need to get your snow plows Aston 19014 running like new again! Burke Landscape Supply has everything you need to replace those OEM parts and get your snow plows Aston 19014 running like new again. We sell replacement parts for all the major manufacturers. We sell parts for Western, BOSS, SnowDogg, SaltDogg, Meyer, and Fisher. 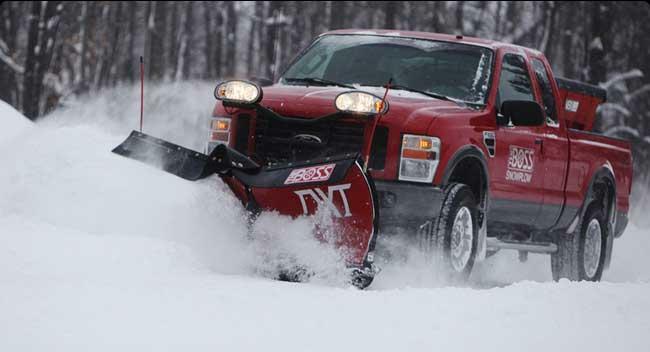 Using genuine parts helps your snow equipment last longer. Burke Landscape Supply even repairs your snow equipment Aston 19014. Choose Burke Landscape Supply for snow plow repair, salt spreader repair, snow blower repair. We repair all the major manufacturers. Western, BOSS, SnowDogg, SaltDogg, Meyer, and Fisher. Come to Burke Landscape Supply for your Western Salt Spreader repair Aston! Snow removal equipment from WESTERN, BOSS and SnowDogg. We have a supply of repair and maintenance parts from Meyers and Fisher. Contractor or Residential customer, we offer quality salt spreaders from leading manufacturers in the industry including WESTERN, BOSS and SaltDogg. 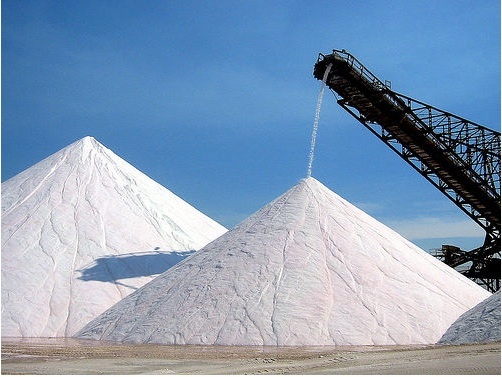 We have the salt product for you. We offer a line of ice melt and calcium chloride for your winter needs. Call 610-494-9490 for current Prices. We provide OEM replacement parts for WESTERN, BOSS, SaltDogg, SnowDogg, Fisher and Meyer Products. We service and repair all manufacturers.